Canada Pharmacy Online offers you a variety of choice on the most popular medication used to treat erectile dysfunction. 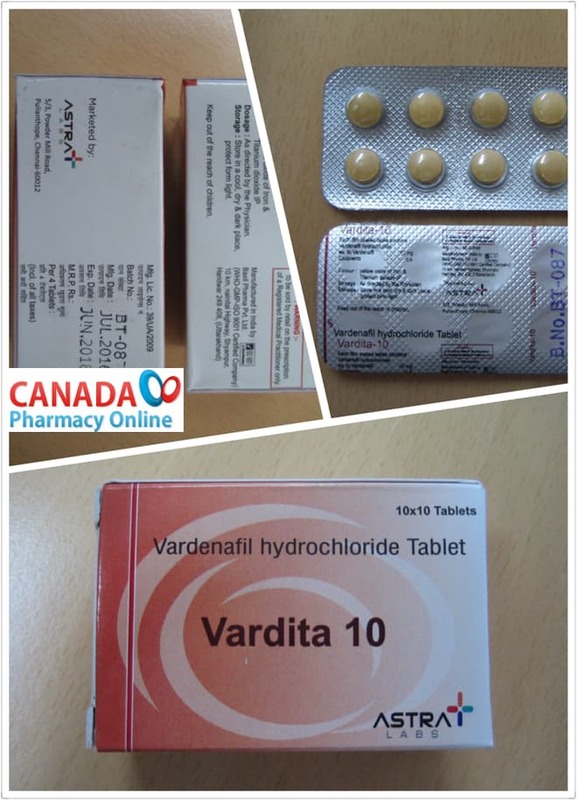 We stock generic Vardenafil at the lowest price 90 tablets only for $120. 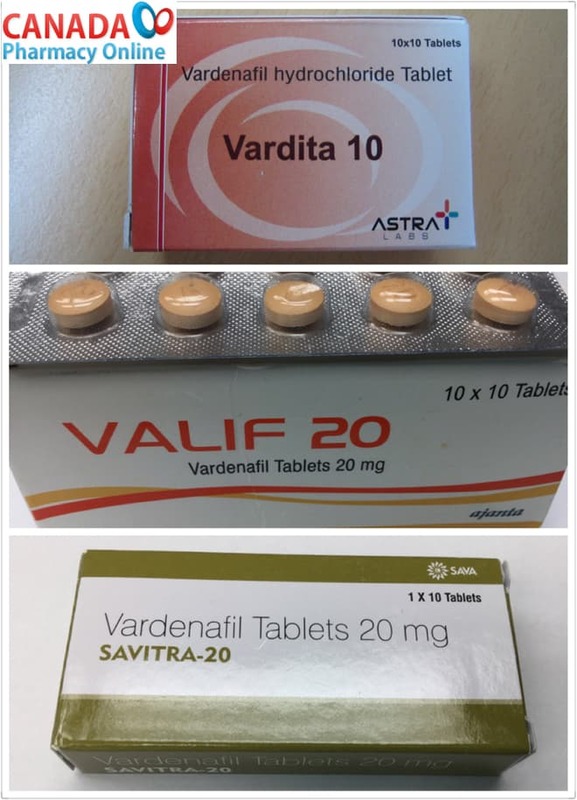 Vardenafil is manufactured by Astra labs called Vardita, by Ajanta Phama called Valif, or by Sava Healthcare called Savitra. It is available in 10 mg and 20 mg tablet form. Click here to buy Levitra.